for lunch today. The thing is, it was my first time to use fresh noodles which I bought from NTUC and I didn’t expect it to be salty that’s why our batil patong ended up too salty that Kristine and Aba had to eat slices of loaf bread along with it my bad. A brief introduction of my favorite pancit: Pancit batil patong is a comfort food that is common in the Cagayan province and its nearby provinces like Isabela and Kalinga. Pansit batil patong refers to a way of cooking pancit, which might have originated in the town of Tuguegarao in the province of Cagayan. Batil which means “to beat” and it refers to the egg, and patong which means “to put on top of”. 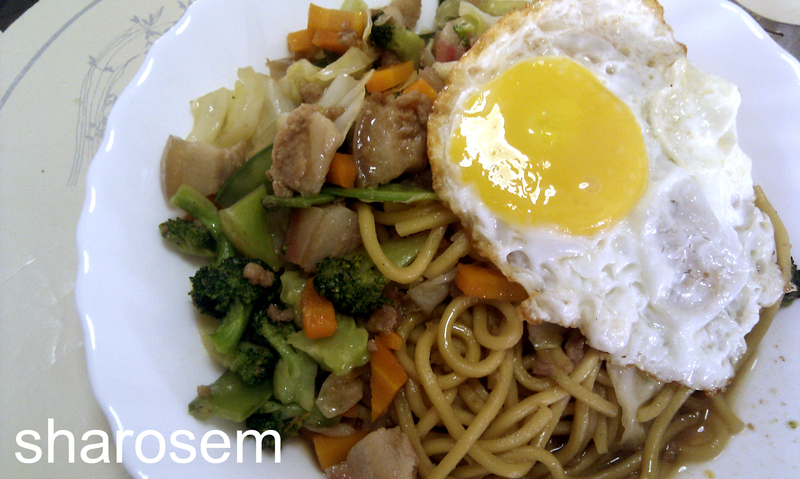 The main ingredients of this is pancit miki (egg noodles), pork or beef or a mix of both, vegetables (cabbage, carrots, togue, etc. ), crispy chicharon bits or lechon. It comes with a poached or sunny-side-up egg on top, an oily bowl of tasty dark soup, and a side-dish of chopped onions, kalamansi (small lime), soy sauce or fish sauce, and vinegar. A friend of ours, Santiago Sotto, has his own delicious version of batil patong and Emilia’s panciteria in our town Tabuk also serves this pancit. My favorite panciteria that offers batil patong and other pancit dishes is the one in Roxas, I can no longer remember the name. I never fail to drop by at that panciteria whenever I drive home to Tabuk. Here’s my recipe. 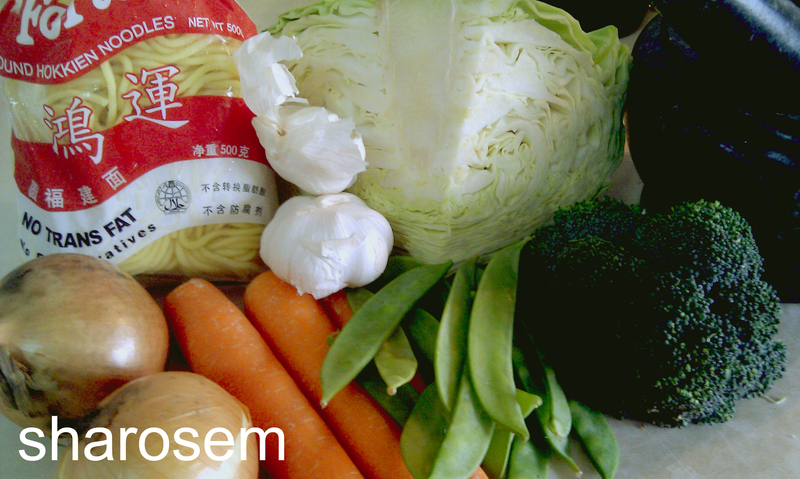 The ingredients for the sauce below is already adjusted and I also included the recipe for the sauce when dried, not-salty noodles are used. Togue, baguio beans, wom bok, cauliflower, etc. can also be added depending on one’s preference. the onion. Let it simmer for a minute. in the fresh noodles. Let it simmer until the noodles are cooked. 5) Toss in the cooked meat and vegetables. Serve with sunnyside-up or poached egg on top and chopped onions and chili in vinegar and soy sauce on the side. By the way, chopped crispy lechon kawali or crushed crispy chicharon can be added as toppings. PS: the sodium content of the fresh noodles I used is 688 mg per 125 g. of the noodles:-( The recommended sodium intake per day for people between the ages 9-50 is 1,500 mg.